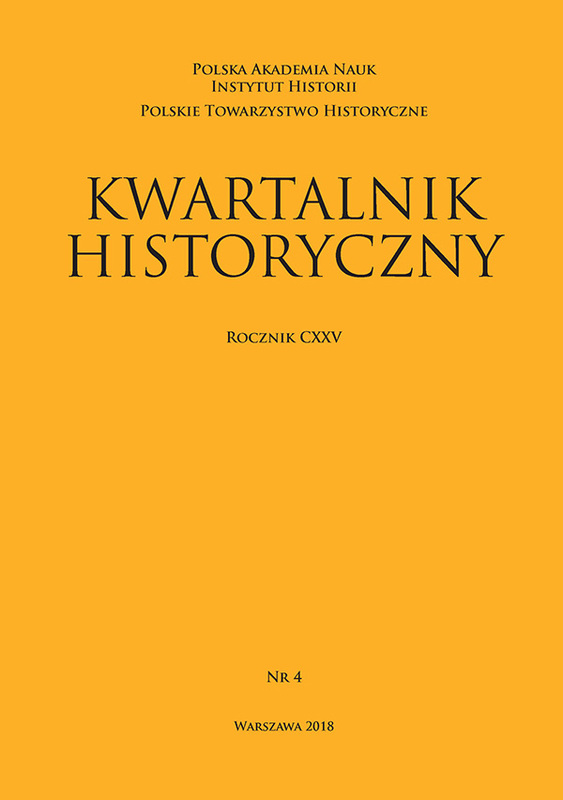 Kwartalnik Historyczny, the oldest Polish historical journal, is a really peer-reviewed journal. Founded in 1887 in Lwów (today L’viv, Ukraine) during the period of Poland’ partitions, the scientific journal Kwartalnik Historyczny (Historical Quarterly, KH), is the longest established and highly recognized historical journal in Poland. The Kwartalnik Historyczny features papers reporting original research, as well as important newly revealed archival sources, opinions and debates on Polish and international history from medieval to present times. Relevant themes are discussed from an interdisciplinary perspective and there are occasional thematic issues dealing with selected topics. The journal receives growing attention in the Central Europe region owing to article summaries available in English and to English-Language Editions (one edition per year from 2017 to 2021), and to critical reviewing English, German, French and Slavic history literature. Highest scientific quality is guaranteed by the Editorial Committee with members from the Austria, Germany, Great Britain, Hungary, Japan, Poland, Russia, and Ukraine. All articles are reviewed by two independent lectors as well as the members of the Editorial Board. The Kwartalnik Historyczny is published four issues a year on more than 900 pages annually. It is recognized by academic and university circles as well as general audiences. The Kwartalnik Historyczny has a approx. half thousand-copy circulation (per issue) with subscribers also in European and North American countries. It appears also electronically (on-line first).